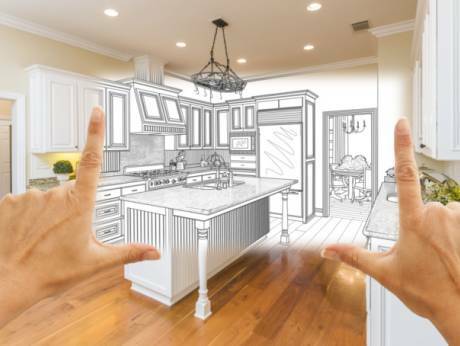 Strategically updating your kitchen can help with clutter and the overall appearance of what is among the most important (and busiest) rooms in your home. For example, a microwave drawer may seem like a simple renovation, but it can immediately make your kitchen feel more modern. Today’s best-selling homes feature similarly sleek kitchen updates such as stainless steel appliances, center islands and granite counter tops. Kitchen islands are especially popular as they can really open up a cramped kitchen and improve your home’s overall room-to-room flow. Updated baths have become more popular in the last 10 years or so because people see their homes as a sanctuary — and bathrooms are a big part of that. Double sinks and wall-mounted televisions are just a couple of amenities homeowners are adding to their bathrooms to make them feel more “homey.” But smart technology is coming to the bathroom as well, in the form of UV-powered self-cleaning toilets and digital controls that allow you to save your shower preferences (water temperature, pressure, etc.). Updates to bathroom tile and countertops remain popular as well. Pebble flooring, mosaic tile and wood lookalike porcelain planks are all very much “on-trend” for 2017. Complement these new fixtures with atmospheric, spa-like lighting and you’ll have a master bath sure to please — and wow a potential buyer.